FTC Disclaimer: We received complimentary products from Beddy’s to facilitate our review. All thoughts are my own. Hey guys! I’m back for another #HappyHome post. This time I’m going to take you on a tour of the boys’ shared bedroom. Since we moved back to Florida, we no longer have a playroom. Most of their toys from the playroom are in their bedroom now….which makes bedtime lots of fun! But really, it’s not too bad since we came up with a great toy organization system that I shared in the Playroom Tour awhile back. Welcome to the Boys’ Shared Bedroom! We left most of our books in Utah (storage) for now. I did bring the special boys that were the boys’ favorites: Andrews books about outer space, tractors, and race cars and Aidan’s dinosaur books! I thought it would be fun to build up a new book collection while we are here since you can never have too many books! We are here for about a year and then we will be moving back to Utah permanently. Since our time here in Florida is temporary, we only brought a few things. One of those things was the boys’ bunkbed. It’s great that they are able to sleep on the same bed they had before! You’ll notice a lot of the things in their room from their previous Playroom. One great bonus is this room is not beige! Yay for color! The walls are a soft, blue color which adds a nice and relaxing vibe to their bedroom. Talk about a pop of color! We’ve since toned down a bit but I definitely love having some color instead of boring beige. Luckily we brought the cube shelves from IKEA that I used in my office in Utah. All of their toys are organized into bins for the most part. However, since this home was build a long time ago, there are no closets. I was planning to get a wardrobe to store their clothes in, but then I realized that a year will really go by so fast so I found a clothes pole at IKEA for $9. It’s not my favorite, but it does the job. We would rather focus on things that will be in our next home for long term. The bin under their clothes is filled with old Toy Story toys that belonged to their cousin Jack when he was little. It’s so fun to know they get to play with the same toys! I’m attempting to keep all of their shoes organized with an over-the-door shoe organizer that used to be in our mudroom. It’s a work in progress, but at least it’s a start! We didn’t bring all of our photos and artwork, but I wanted to keep the family photos of the boys for their room. I love how this gallery wall turned out. I feel like these really make the space theirs. On the other wall hang two name prints that their Auntie made for them when they were babies (pictured above). We also brought the special baby blankets that my Nana crocheted for them when they were born. They use them every day and it makes me so happy to know that we have a little piece of Nana. I’m incredibly thankful for the memories we were able to make visiting her a few times when we lived out west. They both remember her and will always know how much she loved them! Beddy’s Zip Up, All-In-One Bedding! Beddy’s sent a set of their amazing bedding for each of the boys and it is AMAZING! It’s an all-in-one bedding system that slips over the mattress like a fitted sheet. Then, each side zips opened and closed allowing children to tuck themselves in as desired, get out of bed, and….my favorite…make their bed all by themselves! This is a HUGE win for #momlife because I was getting tired of having to pick up the sheets and blankets from the floor several times a day….not to mention, making bunk beds can be a bit of a struggle! But with Beddy’s, everything is easy, hence the name Beddy’s (bed ease). The bedding is also machine washable. This means you can wash and dry your entire bedding set all at the same time. Again, easy! They have SO many amazing colors and patterns to choose from and their bedding is available in Twin, Full, Queen, and even King size! In addition to the full bedding sets, they also offer lots of other bedding accessories and cute, fun decor like pillow sets, to create an amazing room for your kids….or yourself! The Beddy’s bedding sets include pillow cases and pillow shams, so you’ll have everything you need all in one bag. We discovered Beddy’s at the Pinner’s Conference in Salt Lake City a couple years ago and I loved their genius idea of an easy, functional, and stylish bedding solutions! It was amazing to get to work with them and I will definitely be a Beddy’s fan for life! SAVE 15% OFF YOUR BEDDY’S PURCHASE! The quality of their bedding is amazing! Inside the top blanket is a soft minky fabric lining that is so cosy! Everything is really well-made and holds up great in the washer and dryer! If you are looking for quality beddding that’s as functional as it is stylish, Beddy’s would be a great investment! They do have financing available and if you use my promo code PAPERCLIPSANDPACIS you can save 15% OFF your entire purchase! 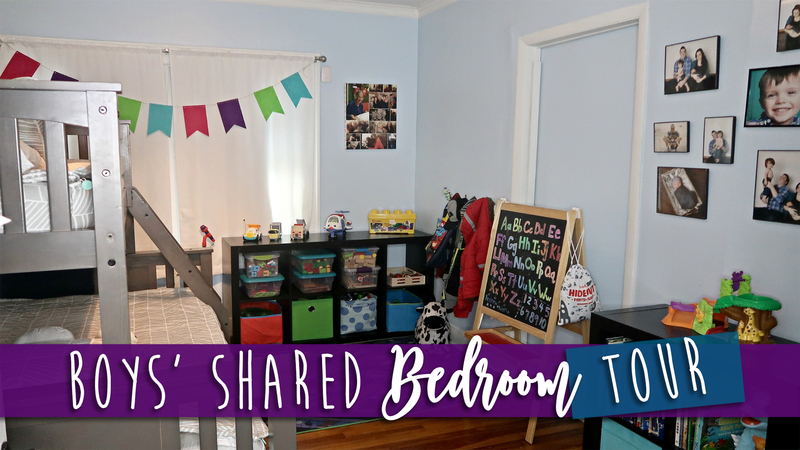 Do your kids share a room? What are some tips for easy bedtime?